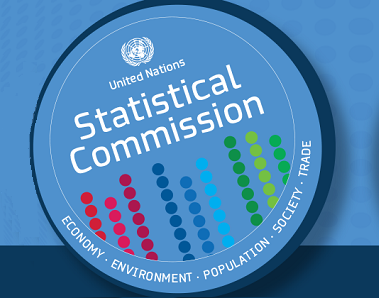 The United Nations Statistics Division (UNSD) is organizing a meeting of the Technical Subgroup for ISIC (TSG-ISIC) of the Expert Group on International Statistical Classifications. The objective of the meeting is to review new statistical developments on the treatment of Global Production Arrangements, including factoryless goods producers; and Retail Sales distinguished by sales channels. The Joint Task Force on Environmental Indicators has been established to foster collaboration of national statistical offices and environmental ministries/agencies in the improvement of environment statistics. The meeting, organized jointly by the United Nations Economic Commission for Europe (UNECE) and UNSD, will review the Guidelines on the Application of Environmental Indicators in Eastern Europe, Caucasus and Central Asia. It will discuss the indicators revised on the basis of the conclusions of the first meeting and will consider further indicators for revision based on countries’ experience with their application. It will also look into the possibility to include new indicators to fill in gaps in the coverage of some of the priority subject areas. The joint meeting will bring together statisticians and environmental experts from the countries of the Eastern Europe, Caucasus and Central Asia (EECCA) region and South-Eastern Europe as well as from other European countries and international/regional organizations. The objectives of the meeting are to (i) discuss priorities and modalities of cooperation on methodological issues of environmental indicators in 2009-2010; (ii) review in detail selected indicators covered by the UNECE Indicator Guidelines to provide practical recommendations on the use of statistical classifications, data collection methods and procedures for the production of indicators; (iii) exchange information on international developments related to environmental indicators that may be important but are currently not included in the Guidelines and provide references to available guidance materials; (iv) initiate discussions on modern presentation formats and tools for effective dissemination of environmental indicators including the use of modern information technologies.